TOPAZ HORIZON: I'm shopping with Globe GCASH American Express Virtual Card... For one lucky reader!!! I'm shopping with Globe GCASH American Express Virtual Card... For one lucky reader!!! UPDATE! CONTEST EXTENDED TO DEC. 3! JOIN NOW! I'm not done with my birthday love, folks. Yep. Thanks to Globe GCASH American Express, I'm treating one lucky reader to an online shopping experience! But first, let me do a definition of terms. GCASH is one of Globe Telecom's many services. It allows a GCASH user to pay for purchases and/or send money. It's like mobile banking! 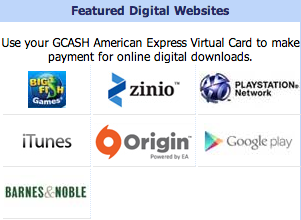 I've been a GCASH user for many many years. I buy and sell stuff on eBay and I love to shop online. But I hate hate hate lining up at the bank. So I'm probably one of the very first people who signed up for GCASH! GCASH allows my eBay customers to pay easily. They just "text" me money! On my end, I love how easy it is to confirm payment kasi GCASH sends me a text saying so-and-so sent me X amount of cash. The message also tells me the balance of my GCASH wallet. Which is very handy when I want to shop! A lot of people ask me how I pay for my online purchases. Very easily because of GCASH for local merchants and PayPal for international sites. But now, because of GCASH American Express Virtual Card, I can use my GCASH funds to pay for practically anything in the world! It's a prepaid card so it consumes the money you already have in your GCASH wallet. It's not utang! 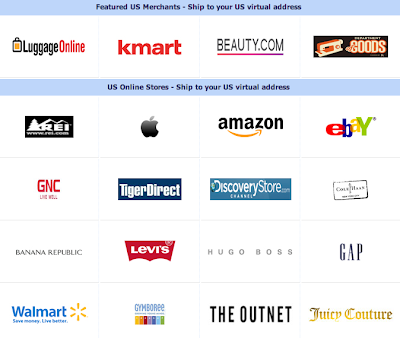 You get a valid U.S. address and U.S. phone number courtesy of My Shopping Box! Many times when Vince and I shop (like when we bought an iPad and a Kate Spade bag during mega-sales), our Philippine-issued credit cards are declined. These merchants want to deliver only to U.S. territories. Not a problem anymore! 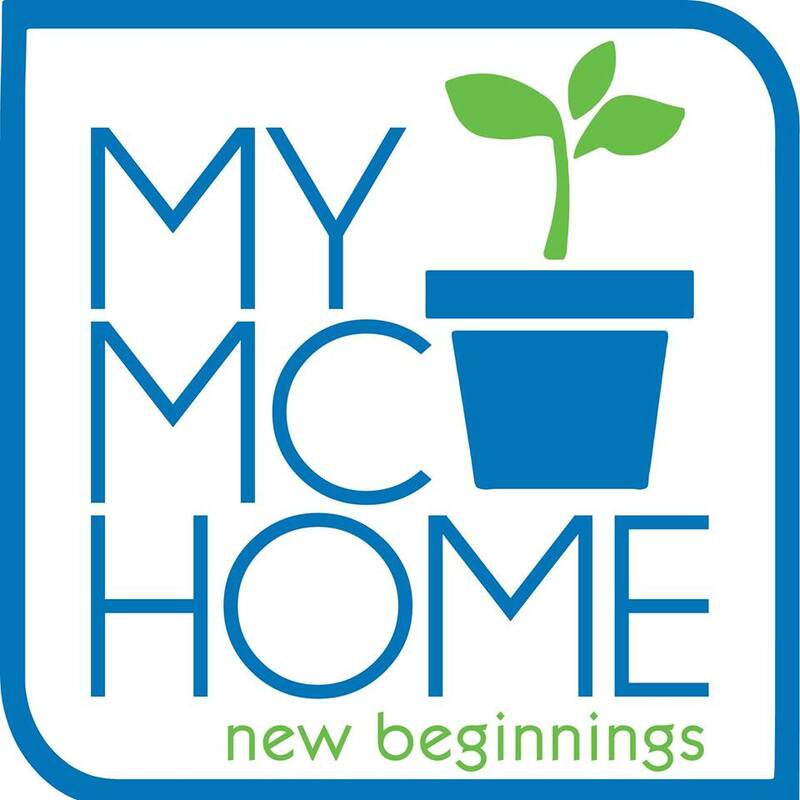 It partnered with My Shopping Box, which delivers straight to your doorstep here in the Philippines. Vince and I are Johnny Air clients but we have to pick up our packages from Megamall. It would be really nice to have our purchases show up at our door! The annual fee of the virtual card is just P250!!! Vince will test the card on Playstation and iTunes! Watch for it on Third World Nerd! As soon as I registered (very quickly! ), I bought a Clarisonic Mia Face Cleansing Brush. Hollywood celebrities like Nina Dobrev, Ashley Greene and Courteney Cox swear by this brush. And I really really really want to try it! But it's not available here. Now, thanks to my new virtual card, I can finally own one! I can tell you that shopping with the virtual card is soooo easy. Super easy. Uh oh, this can be very bad for me haha. Anyway, I'll give a review on shipping costs and speed of delivery when the Clarisonic arrives. I'm expecting it in 10 days. Countdown starts now! Let me shop for you with GCASH American Express Virtual Card! Yes! You read that right! I'm giving one lucky reader PHP7,500 or US$182* worth of beauty products from Beauty.com. That's a LOT especially since I will use it to shop for your prize this coming Black Friday Sale on Nov. 23-25. I'm so happy for whoever's going to be the winner! Okay, there's a lot to do so pay attention! You have to be a Globe subscriber. Sorry, sponsor requirement! If you're not yet a Globe user (post-paid and prepaid), now is the time to be one! Answer this question in the comments below this post: What item do you want to buy online this coming Black Friday Sale? Like my blog's Facebook page. Share this on your Facebook update: "Can't wait to buy [item name] online with my GCASH American Express Virtual Card! 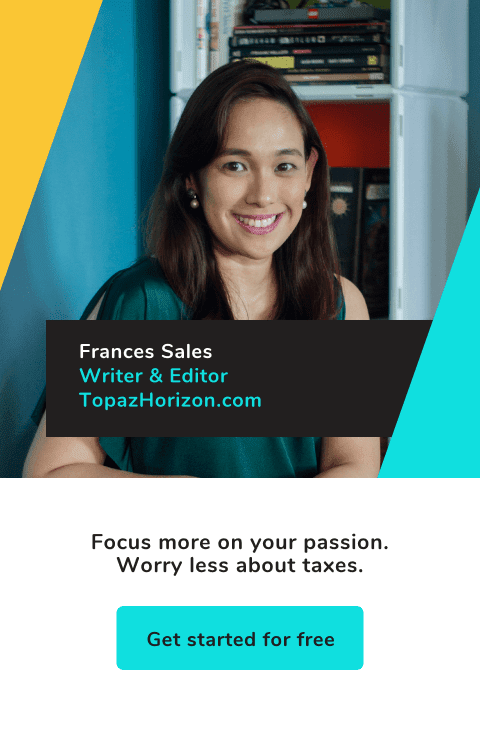 Thanks, @Topaz Horizon! http://www.globe.com.ph/gcash-amex"
Tweet this to your followers: "@FrancesASales Can't wait to buy [item name] online with my GCASH American Express Virtual Card! #gcashamex"
Plus points if you post this blog post on your Facebook and Twitter!!! That's a lot of steps but it's also a fabulous prize! GCASH American Express Virtual Card representatives will pick the winner and I'll announce the good news on Nov. 22, next Thursday! So exciting!!! Good luck! *Maximum amount of prize. Includes shipping costs. OMG! Definitely the Clarisonic Mia. :) It's part of my birthday wishlist. I want to buy the Clarisonic Mia2 Sonic Skin Cleaning System this coming Black Friday sale. I want to buy the Clarisonic Mia 2 Sonic Skin Cleansing System. I believe that great skin is the best foundation. So as much as I want to learn basic make-up skills for every day use and some glam techniques for parties, I need to take care of my skin first. I'm entering my 30s next month, and I don't really want the haggard mommy look. So even if I'm just doing a quick errand, I want to look fresh and glowing, not pale and tired. I guess not. Basta P7500 and below with shipping. Shipping can cost a lot! So if you want to buy big/heavy things, dapat mas mura yung product. May you have more blessings on your 36th year. More power to your blog. I really want the Clarisonic Mia coz I have been neglecting my face for almost two years. Hope to win! Great contest! I want to buy the Clarisonic Mia 2 Sonic Skin Cleansing System this coming Black Friday. I've always wanted to improve my skin's condition and achieve that healthy and glowing skin. Battling impurities is difficult and doing it the traditional way takes a long time. As I've read reviews about this amazing product, I want to try it myself and see how sonic technology would work for me and my skin. And hopefully, I would have that blemish-free skin I've always dreamed of. Clarisonic Mia 2 Sonic Skin Cleansing System is love! I was searching Google about Globe's AMEX card and I stumbled on your blog. :) I'm really happy with this post because it's very informative. I can't wait to buy from Amazon with my card. :) I've been using Gcash for 2 years and I'm so happy that Globe now offers this service. :D I think I'll be buying a lot of nail polishes. Anyway, from the list of items you posted, I definitely want to have the Clarisonic Mia. I've been reading great reviews about it and I want to try it. :) I have huge pores and a few acne marks, and I'm hoping the product would help me solve this problem. Belated happy birthday. May all your wishes come true. It's so nice of you to have this birthday blow out for us regular followers of your blogs. I am always doing online shopping using my cc and definitely would like to try gcash american express. I am happy that I have relatives abroad who's always willing to send me the stuff to me when they send packages back home. I would like to buy the clarisonic skin treatment or the spa products. Well I dont have time to be out for a derma or spa treatment because i am full time breastfeeding mom and taking care of my preschooler so time is definetly precious and I am always on the go. Having it with me at the comfort of my home will be something anybody will wish for advance christmas gift. I am on my early 30s too and need to treat myself to keep looking good for my family. Hope my wish come true. Wish wish wish.. I would definitely buy the Clarisonic Cleansing System! It's such a great innovation for skin care and you can bring it with you where ever you are! I hope to win! I want to buy the Clarisonic Mia 2 Skin Cleansing System this Black Friday Sale with the help of Globe GCash and Topaz Horizon! I want to buy the Clarisonic Mia 2 Skin Cleansing System this Black Friday sale with the help of Globe Gcash and Topaz Horizon! Hurray! Just found out that we're the same age and you look 10 years younger than me. That is so unfair! I want this Clarisonic Mia Skin Cleansing System with the hopes to bring those number of years down to 5 instead. Can't wait to buy a new pair of Jeffrey Campbell Shoes and lots of clothes online. I'm not going to waste this chance on purchasing discounted items and since Christmas is coming, I will use GCASHAmex to buy gifts for my family and friends. I would love to buy something that I can use to style my unruly hair. The T3 Socialista SinglePass Set is a perfect choice so I can minimize trips to the salon and I can do at home styling. Clarisonic MIA 2 is interesting. i want to have an underwater digital camera. hope to find great deals online this black friday sale! I want to win the Clarisonic Mia 2 cleansing system! Taking care of two little girls leaves me little time to pamper myself. The Clarisonic cleansing system would save me time and effort! 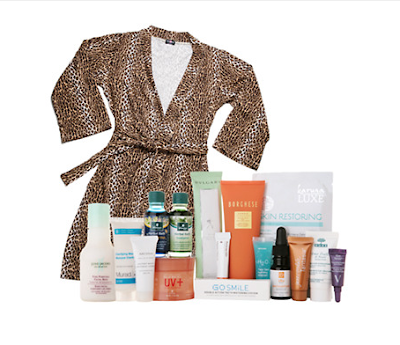 What I wanted to buy, based on your blog post, was the Mally Beauty Mama Indulgence Kit. 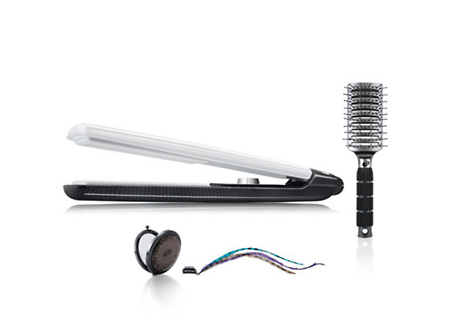 But after checking out Beauty.com, now I want this: the T3 singlepass twirl curling iron. It's so ironic (pun intended! haha!) girls with curly hair want the straightening iron but girls with straight hair want the curling iron. :-) Good luck to me! And thanks for putting up this awesome contest! 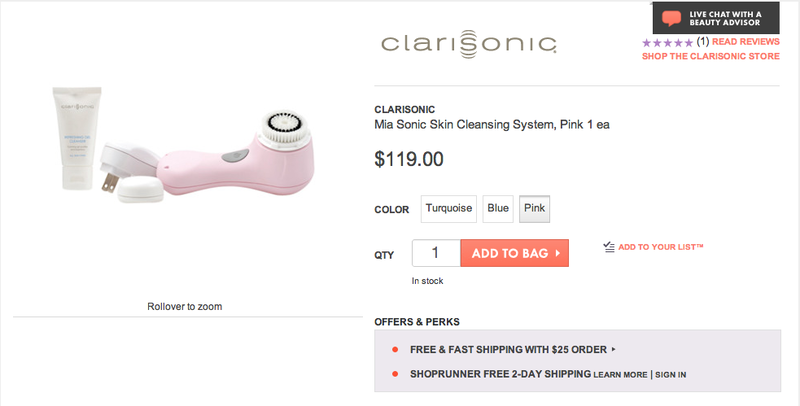 I want to purchase the Clarisonic Mia 2 Sonic Skin Cleansing System. Been battling with bad skin after pregnancy. I want to buy Clarisonic Mia 2 Sonic Skin Cleansing System online using my GCASH American Express Virtual Card this coming Black Friday Sale! 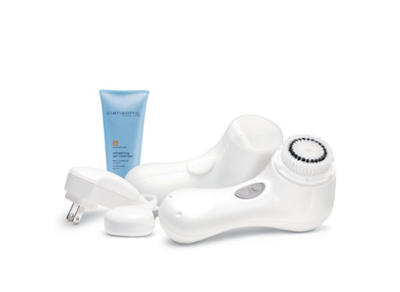 i want the Clarisonic Mia 2 Sonic Skin Cleansing System! I want to buy Adidas Predator power swerve for my son who recently won 3rd place out of 36 teams at the Alaska Football cup held at Alabang Country Club. He will like it as a Crhristmas gift. I want to buy an ipad mini for my Dad. He's not self-indulgent, and it's the least I can do for him. He brings me to work, and sometimes picks me up if I can go home with him. He does the menu planning, and even cooks on weekends. It's also not available locally, and we wouldn't have to disturb relatives and friends to buy it for us. I SERIOUSLY want to buy a KINDLE online!! Yes, the latest Kindle. I've been wanting to get one but because of a traumatic experience in Customs, I haven't tried buying one online yet. Good thing because GCash together with AMEX offers door to door shipping! WOOHOOO!